Slashgear has a post on Via’s home mini server. One of the reasons we have a soft-spot for VIA is that they eat their own dogfood: not only do they produce processors, mainboards and other chipsets, they also put out a range of products (often to OEMs rather than end-users) that actually use them. 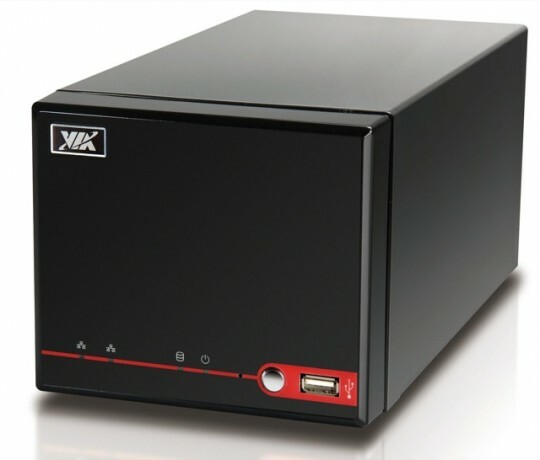 Latest is the VIA M’SERV S2100, a boxy little server intended for home and small business users that’s powered by the VIA Nano CPU. The M’SERV S2100 measures in at 10.2-inches long and 4.7-inches high, yet can be stuffed with up to 4TB of storage space. There’s also a 1.3+GHz VIA Nano CPU, two memory slots, two SATA bays and an internal Compact Flash socket which the S2100 can boot from. As for ports, you’re looking at dual gigabit ethernet, three USB 2.0 and a VGA output. The Via product page has more details. VIA M’SERV S2100 is a data-oriented 64-bit Mini Server with a large storage capacity, low power consumption and strong network connection. The M’SERV comes equipped with two Gigabit Ethernet that makes this unique mini server system a perfect fit not only for home download applications, but also as a small business/SOHO/personal server that provides ample storage space in an energy-efficient, compact, low-noise system. Powered by the VIA Nano 64-bit processor, the M’SERV S2100 mini server is the first and smallest server to support a 64-bit environment. The VIA Nano processor also features hardware assisted virtualization technology, enabling users to experience improved performance across multiple virtual environments. Built-in bootable Compact Flash socket is perfect for installing a slimmed-down version Windows or other embedded OS. Two high-speed Ethernet ports on a speedy PCI Express bus for both Internet and intranet connections. A quiet ball-bearing fan silently cools the system with noise levels remaining below a mere 26.8 dB. Dual onboard DDR2 SO-DIMM sockets for convenient system upgrades. Based on a VIA processor and chipset combination, the M’SERV S2100 is an energy-efficient system with remarkably low power consumption.